At last, the anticipated recap video of our time in West Virginia. Enjoy! Caution: This Song will get Stuck in your Head!! 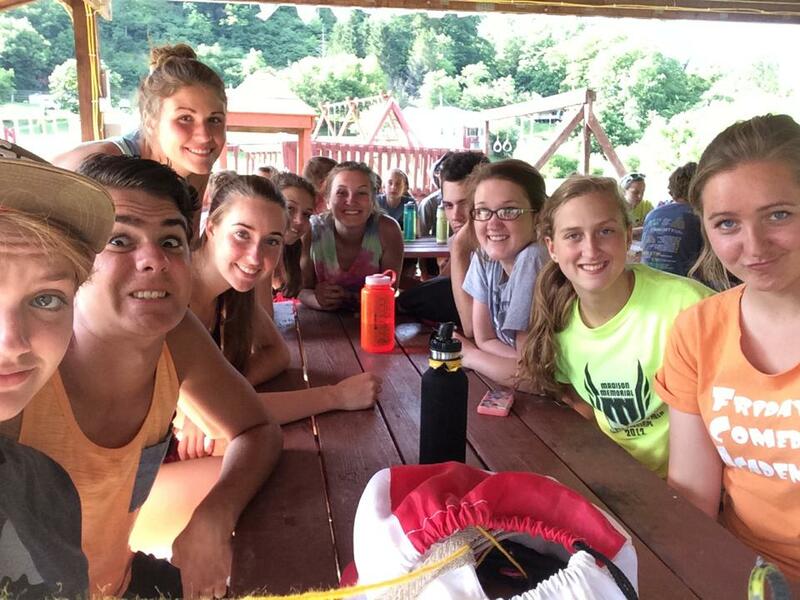 As the students and leaders arrive home, you might notice your mission tripper is constantly singing, dancing, and humming to a particular song. The song “Deep Cries Out” became our theme song for the week. It has great actions and a catchy beat! Today is Friday and it is our free day!! Everyone got to sleep in a little bit! We were off to the beach at around 9:30am. There was food, sand sculptures, frisbee, friends, and possibly some jumping…. It was great to have one last day together before we had to go back to our everyday lives. God revealed Himself in the splendor of His creation and in the continued love our group showed the one another and the other people who were at the beach. This is our last day on the work sites! Everyone was pumped to try and get as much work done as possible today! We interrupt this daily blogging session to bring some random photos that will hopefully show you how much fun we all had being the hands and feet of Jesus in West Virginia!! We had a little bit more excitement today at one of the work sites! One student had to go to the doctor and get some stitches because she cut her hand on a knife! Good thing we had Marilyn, one of our leaders, who is a nurse calmly drive her there and comfort her throughout the process. Another student went along for moral support, and while watching them put the stitches in, almost passed out! She ended up needing to lay down and use the bed instead of the other female student! Good thing they were in a hospital room huh? I think she learned that day not to watch anyone get stitches or too graphic of TV shows! It was a little harder to get up on day two! Similar to day two, students and leaders woke up at 6:45am, got ready, and headed to the bus and vans to drive to Rosedale where the community center and our worksites were! Everyone was so impressed by how Randy, our bus driver, navigated the windy roads of West Virginia. Today is our first day of work in West Virginia! All of the students and leaders were split ip in to four differenet groups and worksites. We are split up between the community center where we eat all of our meals this week, Tom and Lisa’s house, Mr. Guch’s, and other house.